Inspiration struck earlier this week. There was a perfectly petite 200 ml bottle of Hiram Walker Creme de Cassis, coupled with a bottle of Brut and a relatively sunny New England afternoon, and the muse struck. It was time for a Kir Royale! For what this drink (photographed) lacks in proper glassware and twist garnish, it makes up with flavor. The vibrant, deep-red color and sweet profile of the Cassis come from the blackcurrant berry. 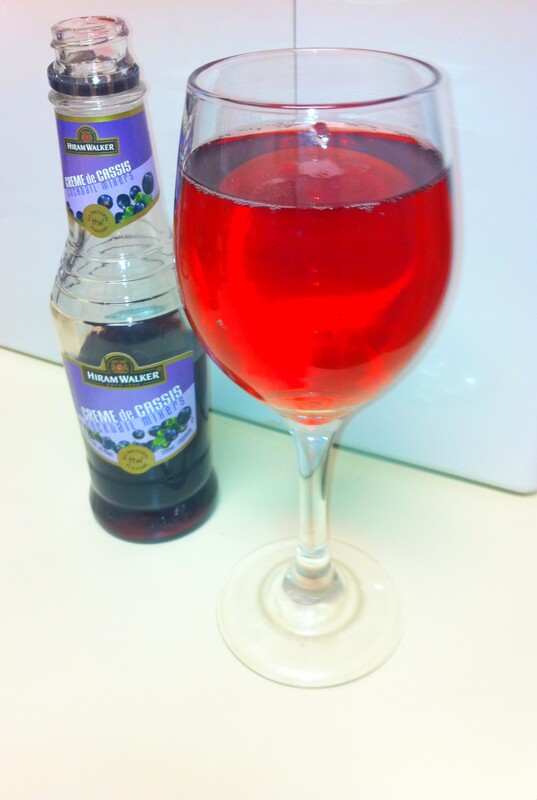 I measured one part Creme de Cassis with four parts of a dry Brut sparkling wine; the combination of the two made for a very well balanced drink, not sickly sweet. Champagne cocktails are perfect for a variety of occasions. Give this one a try for when inspiration strikes you next! What’d you drink for Margarita Day? 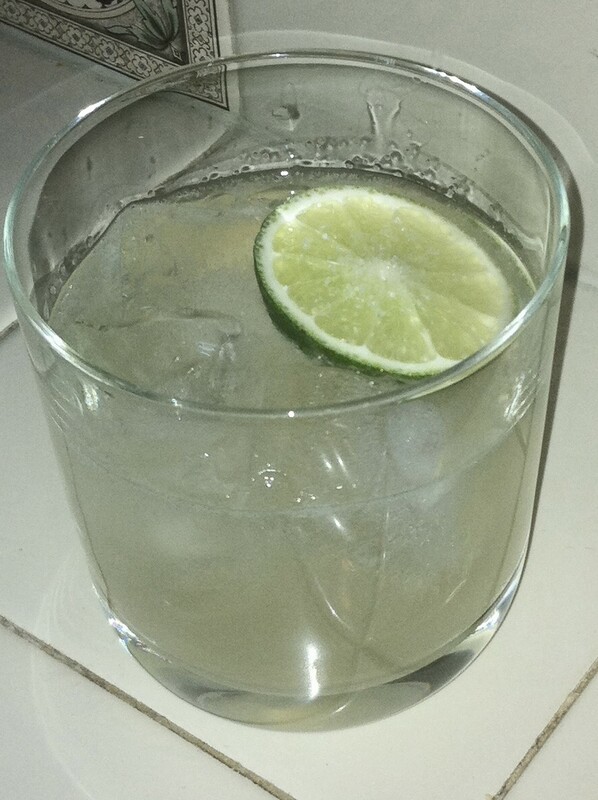 Here’s one of the delicioso margaritas that I made for the boyfriend and myself, using the recipe in my previous blog post. Paired with a super fresh dinner of homemade fish tacos, this slightly sweeter version of the classic margarita recipe was perfect to celebrate the occasion! I’ll keep this post short and sweet, just like those beloved candy hearts. However, for those of you who may fall into that category of, well, forgetfulness… please go and give my monthly column at Bar None Drinks a read where I offer up one more Valentine’s-inspired cocktail that may help to keep you out of the doghouse. There is also a link to an entire Valentine’s Day drink guide with plenty of cocktail options for you and your sweetheart. Wishing you a special and memorable Valentine’s Day. 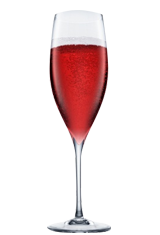 A Strawberry Kir is a beautiful cocktail to serve for Valentine's Day with 1 part Hiram Walker Crème de Strawberry and topped with your favorite sparkling wine. The Champagne Cocktail is a quintessential romantic drink. Homemade syrups – Although these aren’t infused with alcohol, making a homemade syrup with floral notes is sure to pack a punch to your champagne cocktail. Rose and Lavender are among some favorites I’ve tried in cocktails before. What other liqueurs do you recommend pairing with champagne or sparkling wine? Please, share your suggestions.